Tang Zeming trained as a swimmer, and his parents had high hopes for him. However, instead of being an Olympic champion, he has become a leading ink-wash painter and teacher. Taihang Mountain has inspired generations of artists. In the eyes of many, Taihang Mountain running down the eastern edge of the Loess Plateau in Shanxi, Henan and Hebei provinces, was a base for the Communist Party of China that fought against the Japanese in the War of Resistance Against Japanese Aggression (1931-45). But its towering peaks, deep gorges, waterfalls and spectacular caves also gave birth to the ancient style of landscape painting. 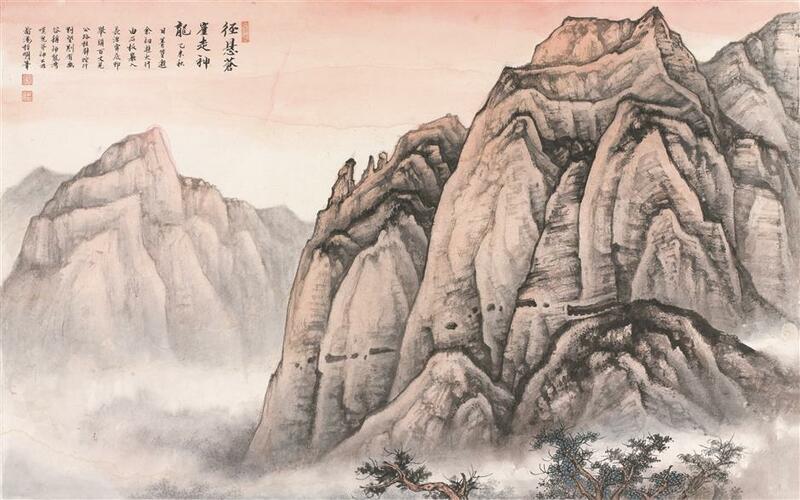 Jing Hao (AD 850-923), father of China’s panorama landscape painting, lived a reclusive life on Taihang Mountain to come up with his masterpieces. 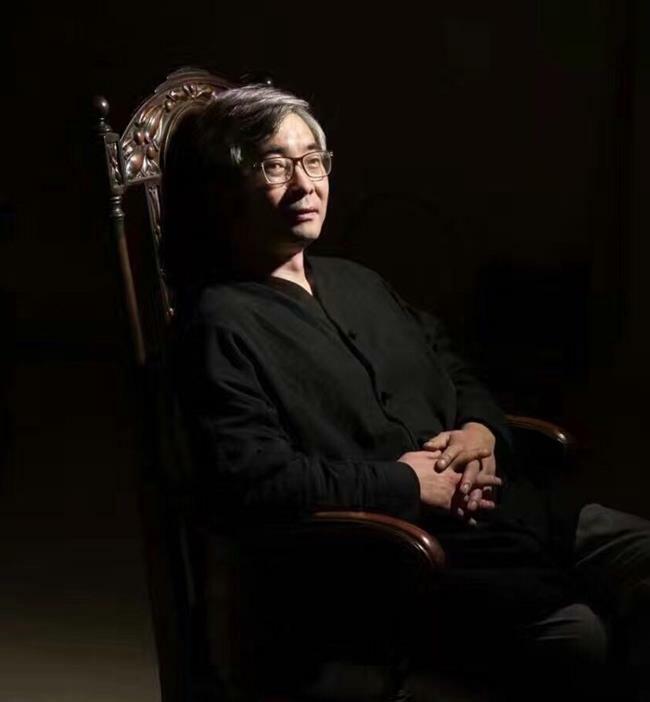 So Tang Zeming, a 48-year-old artist whose solo exhibition featuring Mt Taihang is currently underway at Qianhe Art Space through the end of February, faced a challenge to fill those shoes. “Taihang Mountain has such a precious place in my heart that I dared not go there until I thought I was qualified in 2015,” Tang reveals. “I admire the Chinese ink-wash paintings of the Northern Song Dynasty (960-1270), and Taihang Mountain was a repeated subject under the brush of Chinese masters back then. “Once I arrived there, I was immediately drawn by it. The landscape, the astronomical phenomena across four seasons and the beautiful colors impressed me strongly,” he says. In the past three years, Tang visited the mountain three times and stayed for almost a month during his last trip. Born in 1970 in Shanghai, Tang trained as a swimmer when he was a boy. But the “brutal training” made him give it up. “I won a bronze medal for my school, but could no longer tolerate the stern way of coaching,” Tang recalls. The small boy probably never expected that the indomitable will of an athlete had already been carved deeply into his character. 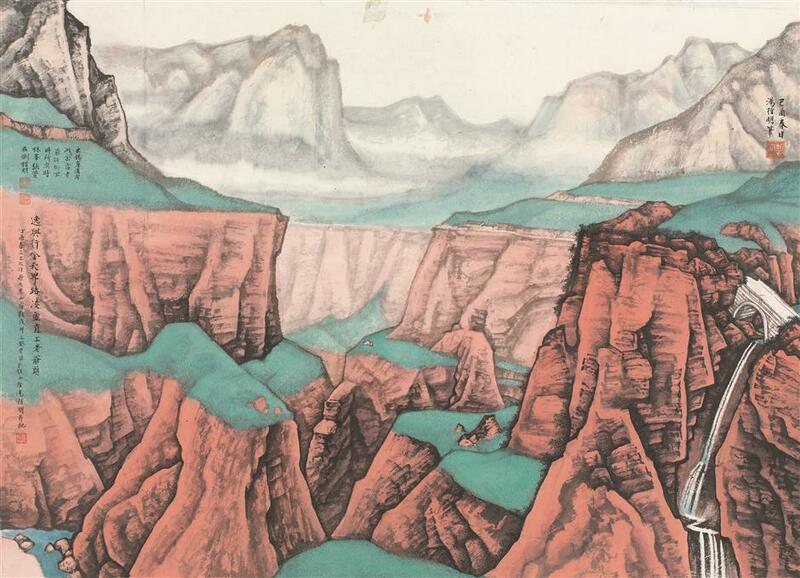 One of the works from Tang Zeming's Taihang Mountain series. Yet, art opened up a new world for him. “I feel fortunate that I found something I liked as a boy, and persisted with it when I grew up,” he says. Tang spent four years learning basic art techniques at the Shanghai Art and Design Academy, and then studied art history at the Fine Art College of Shanghai University. He obtained his doctorate at the China Academy of Fine Art in Hangzhou, capital of Zhejiang Province. “For my parents, (learning painting) was such a joke. But when they asked me to study math, physics and chemistry, I didn’t listen to them at all,” he says. An ardent lover of traditional landscape painting, especially from the Northern Song Dynasty, Tang has engaged in copying masterpieces for 30 years. But Tang faced a crossroads when many said ink-wash painting had no future. In 2010, Tang’s name began rising in the art community thanks to his ink-wash paintings that bear strong similarity to the Song Dynasty masterpieces. Last year, he was invited by the Long Art Museum to hold a solo exhibition. But this exhibition at Qianhe Art Space is a striking change to his early style. Q: You have a solid base in art history. How does this help you as an artist? A: Yes, it helps, because I never follow trends. Sometimes this means solitude and isolation. But popularity doesn’t mean anything to me. Q: Compared with the ancient paintings, what’s different in your recent work of Taihang Mountain? A: The new series is more realistic. Today, there are walled roads meandering on the cliffs which were impossible in ancient times. In my works, you find some new scenes. Q: Why did you spend so much time copying the masterpieces? A: It was a very complicated process, not simply copying. Sometimes I had to try various ways to achieve the final visual effect on the tableau, because no ancestors would tell you how they did it. It takes a lot of thought. Q: What’s the reason behind the rise of Chinese ink-wash painting in recent decades? A: Because China itself is rising ─ not only in economy but in culture as well. Q: Some veteran ink-wash artists fear the lack of young talent. Do you think so? A: I don’t think so. Each generation has its own genius. I am now a teacher at the Fine Art College of Shanghai University, and I do discover some very talented students. Q: Besides Taihang Mountain, what are your other plans? A: Although I haven’t painted enough about Mt Taihang, I am also considering painting Emei Mountain and Qingcheng Mountain. Q: Did you have a mid-age crisis? How did you cope with it? A: One day when I was painting on the peak of Taihang Mountain, two young girls saw me and said, “Grandpa, your painting is great!” Just imagine how I felt at that moment! After several decades of painting, I found my physical strength is declining fast and sometimes it was even hard for me to walk upstairs. So I went to the gym. I was trained as an athlete when I was a child, so the whole process is familiar to me. 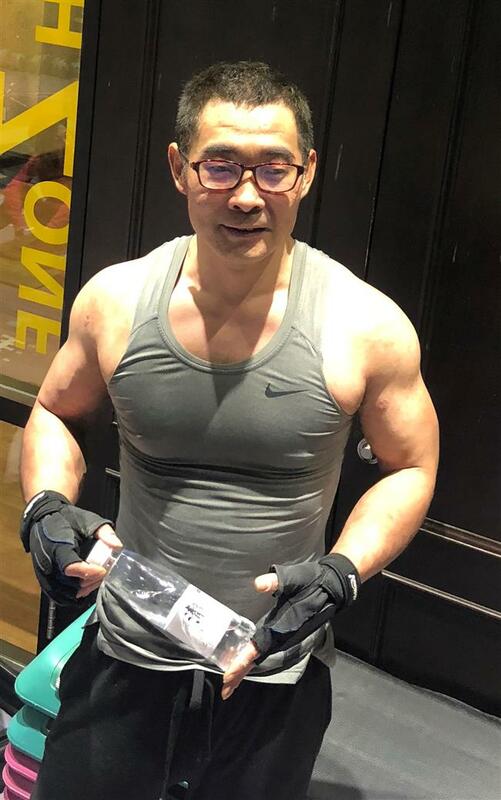 Tang Zeming is now a big fan of bodybuilding, who goes to gym every day.